Throughout a nearly two decade-long career as lawyer and lobbyist, Mr. Pascrell has represented government affairs clients in Trenton and Washington, DC in a diverse cross-section of sectors, including financial and insurance, health and hospital, technology, utilities, development and construction, and public entities. He has led client matters under the administration of every New Jersey governor since 1997 and in the Legislature under both Republican and Democratic control. 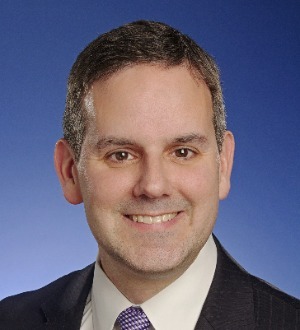 He has also worked with almost every state department, agency, board, authority, and commission in New Jersey over the span of his career and has particular experience with the New Jersey Department of Banking and Insurance (NJDOBI), Department of Human Services, Department of Community Affairs, Board of Public Utilities, and Department of Labor and Workforce Development. For example, Mr. Pascrell led the effort to obtain approval for the first de novo health insurer in New Jersey in over a decade, and he regularly represents insurers in regulatory matters at the NJDOBI. In addition, his proficiency in local and state procurement law has supported companies with business development interests at the municipal, county, state, and federal levels. He also regularly represents gas, electric, cable, water, and wastewater utilities in government affairs matters in New Jersey. In the public policy arena, Mr. Pascrell played prominent roles in the repeal of the death penalty and the approval of stem cell research in New Jersey. He has extensive experience with matters involving the office of the Chief Counsel, the Governor's Authorities Unit, and Policy Shop.